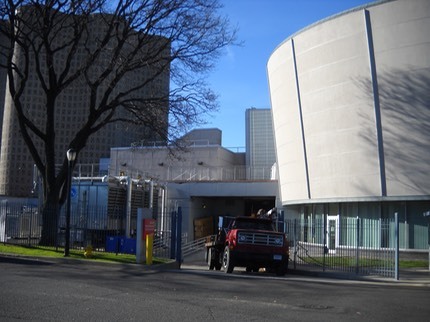 CAMA has received an early steam engine from the New York Hall of Science museum in Flushing-Queens, NY. Conrad Milster had restored the engine for that museum many years ago, and hooked us up with the staff. We agreed to take this early engine on long term loan as the NY museum had no intentions of using it as a display in the forseeable future. 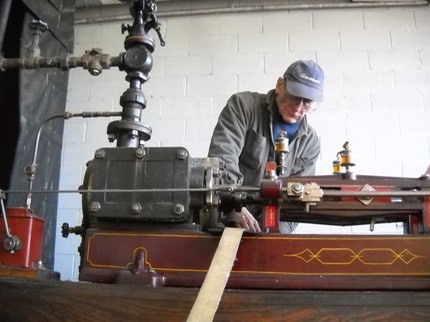 We will run this engine on steam in our Industrial Hall at the Spring Power-Up. 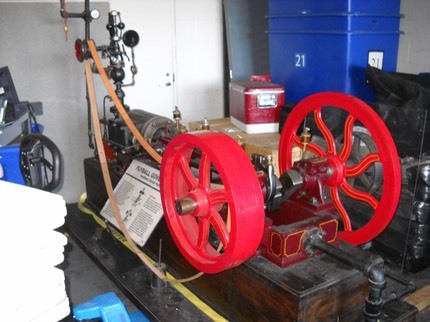 Although the engine is not marked, Conrad believes it to be an Ames engine, from the 1850-1870 era. 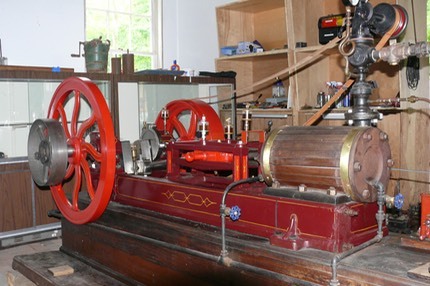 If so that would make it the oldest engine in our display. 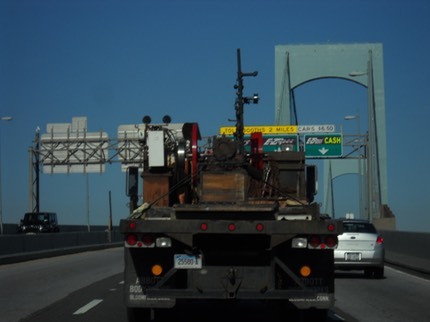 Below are a few photos of the engine during removal and transport to CT. Ray deZara, Jim Anderson, and Jim Daly made the trip to NY to pick up the engine and return it to Kent. Sitting on the loading dock awaiting the move. Jim Daly helping Ray deZara (not shown) secure the load for shipment. Heading back to Kent, CT across the Throgg's Neck Bridge.